For Mevo quality is of the utmost importance resulted from the fact that quality sets the standard in many different ways. 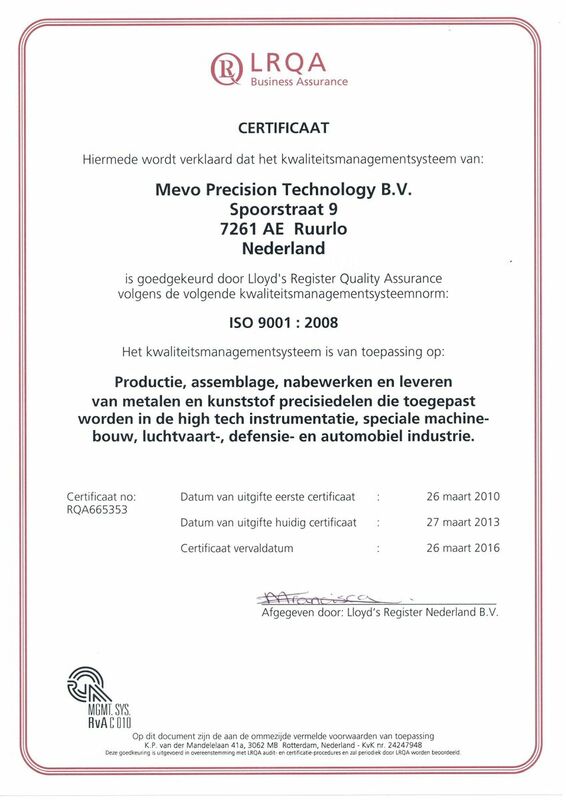 The company has achieved the highest standards in including ISO9001:2008 and by applying FMEA and SPC. 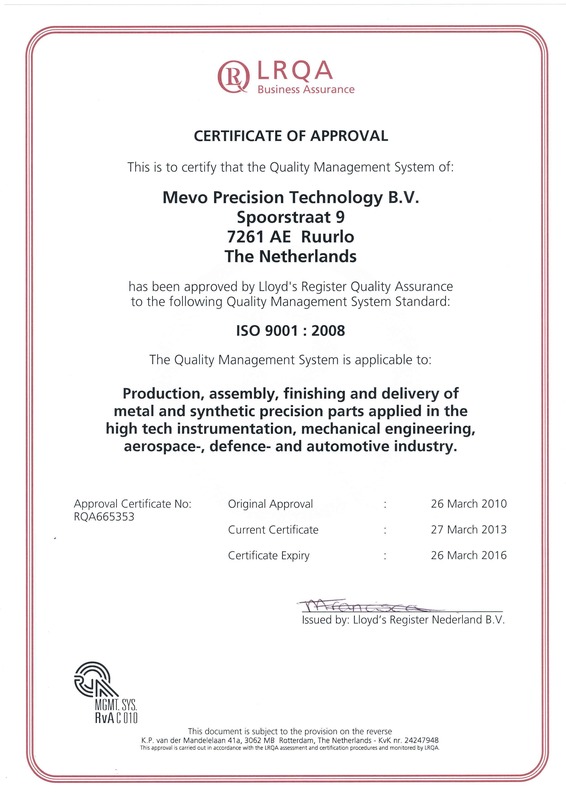 Mevo is equipped with the most modern equipment and produces products which are in accordance with the strictest quality requirements set by our customers. Innovative production distinguished by price and quality – investment in continued innovation and education. Mevo is an active participant of the “the “Graafschap College” in Doetinchem (The Netherlands). These respected learning institutions provide a source of knowledge and continued learning. Mevo’s commitment in learning and training ensures high qualified personal. Our organization is an officially recognized teaching-company. Our knowledge base provides the ideal platform on which to begin new product development. 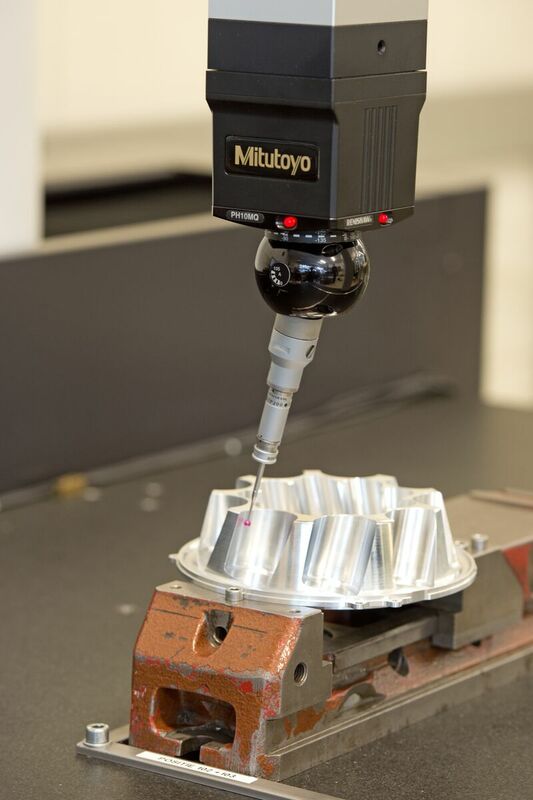 At this point Mevo can with state of the art CAD/CAM software and experienced engineers assist with design optimization, costing, modeling and project scheduling. Mevo is a member of the “Koninklijke Metaalunie” (Dutch Royal Metal-association). 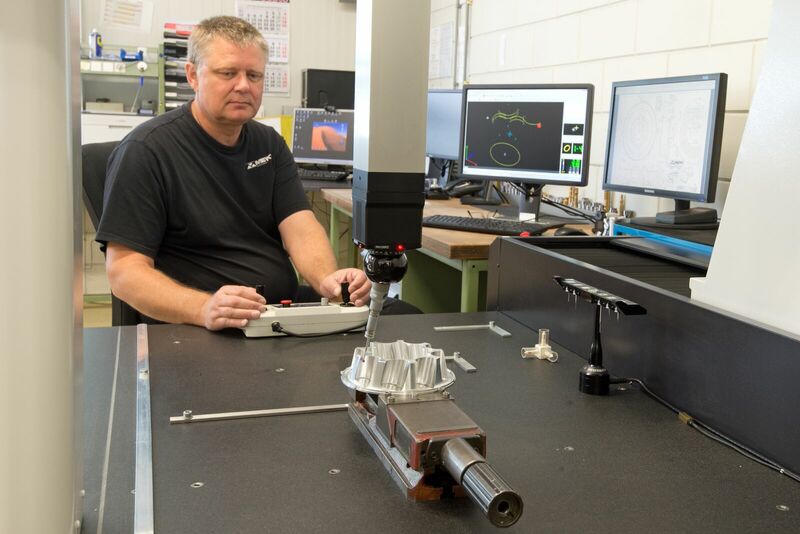 Additionally, Mevo is united in different trade organizations such as Dutch Precision Technology and the NEVAT (Dutch association of suppliers). Our involvement with these organizations creates a foundation for the continuity of enterprise in our industry sector.